The first-ever nonstop flight between Europe and Australia is set to take off in March 2018, clocking in at a whopping 17 and a half hours long. 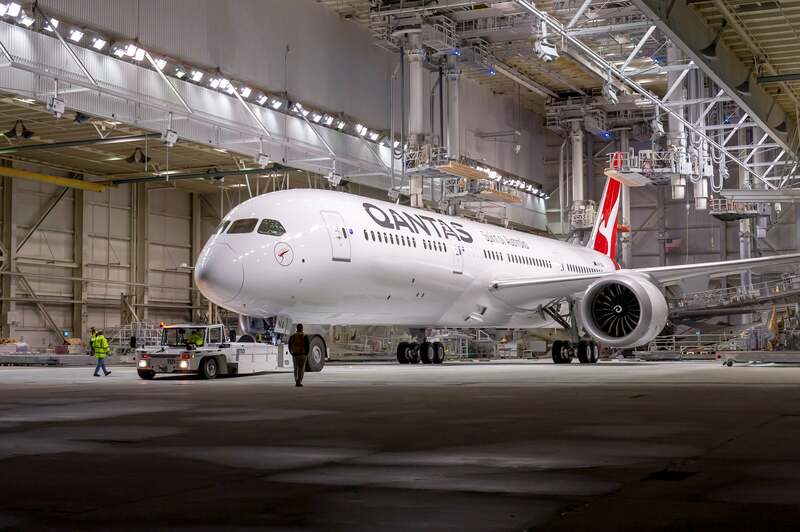 Qantas plans to operate the more than 9,000-mile route between London (LHR) and Perth (PER) — the new holder of the title of world’s longest nonstop flight — with one of its new Boeing 787-9 Dreamliner aircraft. The first of the airline’s eight Dreamliners on order exited Boeing’s paint shop Wednesday night. 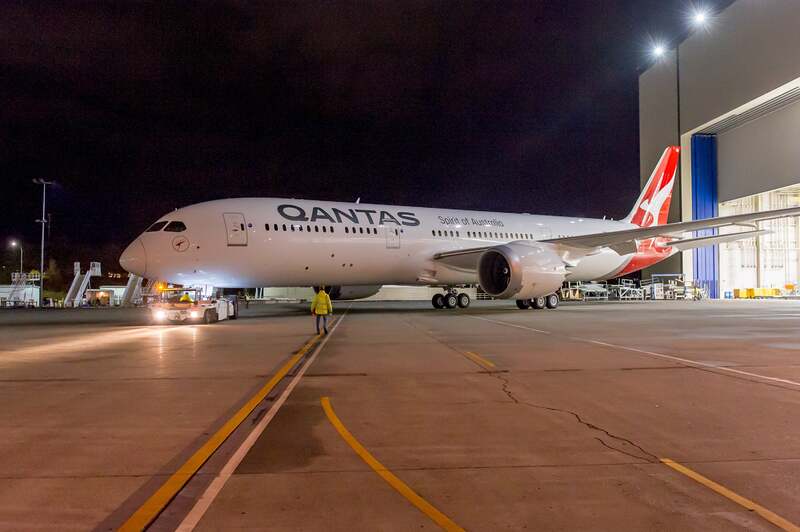 The 789 features Qantas’ new livery, which has been nicknamed Silveroo. More than 250 liters of paint were used to cover the entire aircraft. The paint adds 200 kilos, or about 440 pounds, of weight to the aircraft, Qantas said. In total, the paint job took four days to complete. As announced in 2016, Qantas’ 789 will offer a three-class configuration: business, premium economy and economy. More specifically, it’ll feature 42 business seats in a 1-2-1 configuration, 28 premium economy seats in a 2-3-2 configuration and 166 economy seats in a 3-3-3 configuration. The first 787 for Qantas still has some additional tests that need to be run before it’s officially delivered on October 16, at a ceremony in Seattle that The Points Guy will attend. 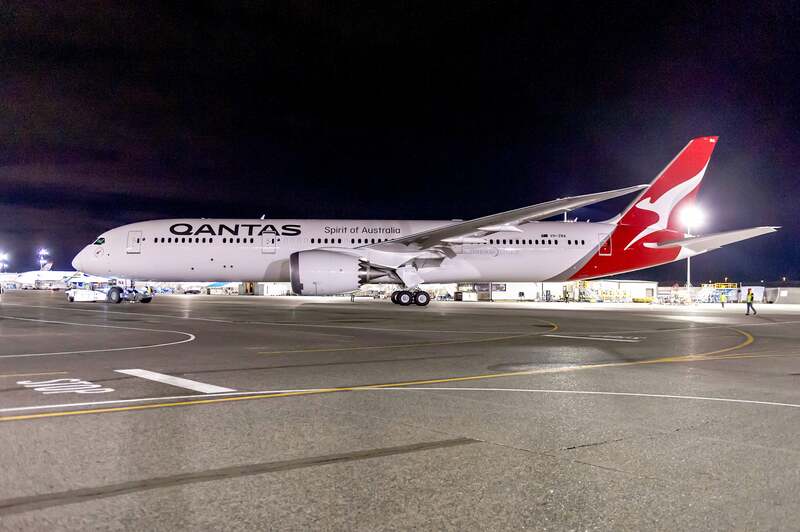 When the first of its eight Dreamliners is delivered, it will complete a period of domestic flying for crew familiarization before beginning service between Los Angeles (LAX) and Melbourne (MEL) in December. Look for our reviews of the business and premium economy products in early December. When Qantas launches the world’s longest route next year, it’ll have four Dreamliners in its fleet.